Civility is our middle name. Well, okay, Peace is actually our middle name, but in our podcast we always strive to be civil to one another and listen to opinions that are different from our own. While we are not journalists ourselves, we recognize the importance of integrity in the field and we wanted to show our support for ethical journalism that is not only immune from corporate influence but protected from government intervention. To that end, the Midwest Peace Process is proud to announce that it is now a voting member of the Civil Registry. 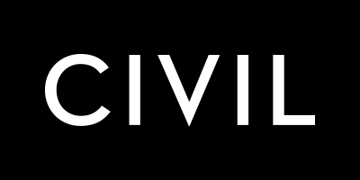 If you would like to learn more about Civil, their mission, and the newsrooms that they support, check out their web site. But most importantly, read their Constitution to see what they value and what they are trying to achieve. And, if you are ready to be a part of the solution, come along and join Civil.